USA and the coming terror. 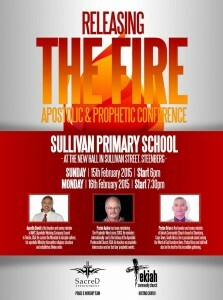 The Fire conference was very successful. Pastor David Viljoen had an altar call and many were saved. He also did a good job teaching on the principles of the Kingdom. 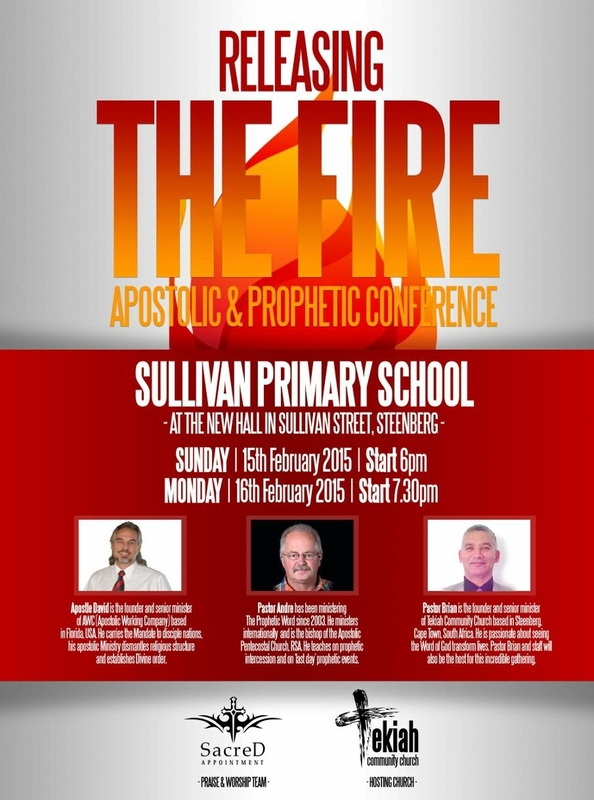 I taught on the Prophetic and had many begin to prophesy over themselves and each other. I was truly blessed when the miracles began to happen. I will report later when i have them in writing all the miracles of changed lives and needs being met. We are into a time of salvation and miraculous provision. Praise the Lord. All I can say is that Steenburg and Ocean View will not be the same again. Posted in Uncategorized on February 28, 2015 by Andre Vaynol.